Chalk finish paint is a fantastic product, but it’s expensive and can cost up to $35 for just a quart. 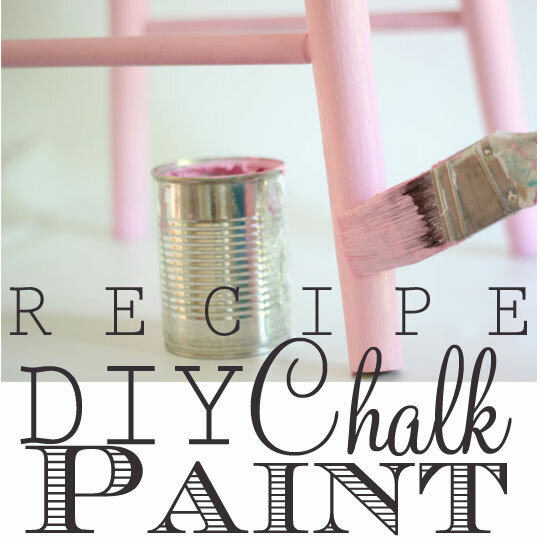 However, with just some basic ingredients you can make your own chalk finish paint. Chalk based paint got is name because it covers the piece of furniture with a soft, chalky patina that gives that piece an incredible antique look. Chalk based paint is a paint that is easily applied on just about everything. The great thing is that chalk finish paint requires no prepping or sanding of anything you wish to paint outside or inside. Covering easily and drying quickly, chalk paint provides a beautiful patina, and your distressed item comes out looking wonderful with very little effort. Chalk Paint is so named because it is applied smoothly, it dries quickly, and it can be easily sanded to make your piece have that great, chalky finish. 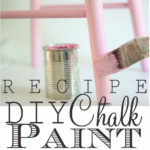 There are several different ways to make chalk based paint. 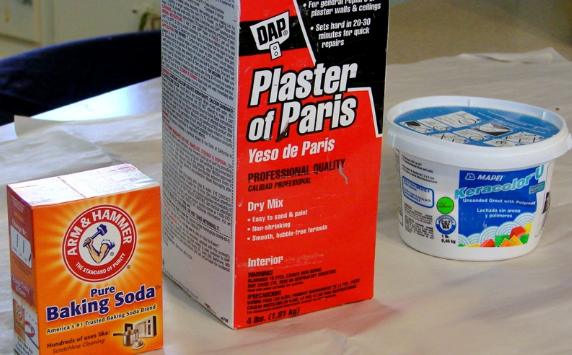 Here are three of the most popular chalk finish paint recipes: Plaster of Paris, Baking soda, and unsanded grout. There are three ingredients in all the recipes, which make just over a cup of paint. The directions are the same for all recipes. Pour the baking soda or unsanded grout mixture into the paint. Stir until all of the mixture is dissolved and there are no lumps. The finishing trick to this painting process is to apply a soft wax over the surface of the paint. This is best done in a room-temperature setting, as the wax will be more malleable than if it were being applied in the midst of the winter.